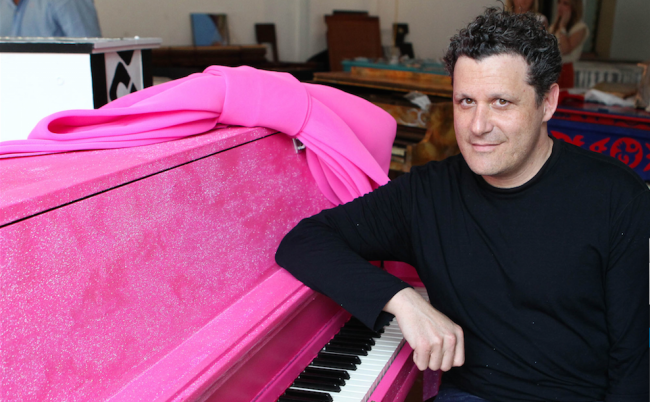 He may be known for his elegant and timeless designs that have become the favorite of not only celebrities like Natalie Portman, Nicole Kidman and Sarah Jessica Parker but also everyday women, yet Isaac Mizrahi isn’t your ordinary designer and fashion icon. Sure he has dressed some of the world’s most well-known Supermodels since the 1980s as seen in the documentary ‘Unzipped’, but there is so much more to this Brooklyn native than most people may know. And since we are all about focusing on people who are moving the needle for women in a range of industries, including fashion, we have to give kudos where kudos is due because a lot of his activism doesn’t necessarily get the headlines it deserves. It’s not hard to find women in the fashion world who are trying to make it a more empowering industry for women. The men, however, are a rarity, so when we read stories like that of IMG’s Managing Director Ivan Bart saying the agency are getting rid of their body divisions in order to promote all categories of models in an equal manner, and H&M’s CEO Karl Persson saying the brand will curb their use of photoshop and promote healthy models in their campaigns in order to prevent eating disorders, it makes us happy that these issues are also important to them. 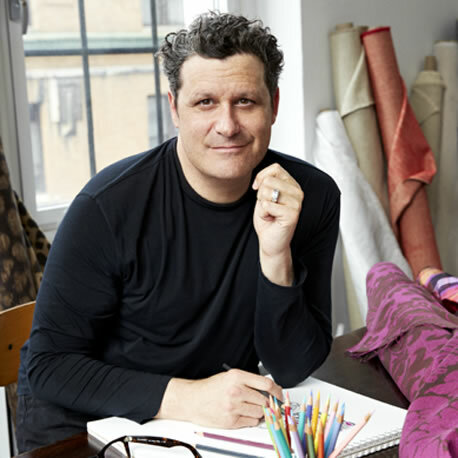 So in honor of his amazing designs and his presence outside of the fashion world, we thought we’d let you in on the secret and give you 5 reasons why we love Isaac Mizrahi. 1. He’s all about body diversity. In an interview with Huffpost Live in 2014 he spoke about his appearance on ‘Project Runway All Stars’ and admitted he would love to see a season dedicated to plus size fashion. “I wish that the plus size thing was just integrated properly because I don’t want to speak to a plus size woman differently than I speak to a woman,” he said. At the time he also mentioned the show had been picked up for renewal and would suggest to the producers to do a plus size season. We’re still waiting on that but the fact that Isaac is on board with it means he understands every woman wants to be catered do no matter what they look like. 2. He’s been open about having an eating disorder. In another interview with Huffpost Live in 2013 he admitted struggling with his weight as a child, and that once he entered the fashion world it only made it worse. It’s refreshing to hear such honesty come from a person in a very cut-throat industry based on looks. Also, we don’t often hear men talking about such vulnerable topics like body image and eating disorders, but they NEED to speak up more to de-stigmatize these issues as only being “women’s” issues. According to the National Eating Disorders Association, 10 million males in America will suffer from an eating disorder at some point in their lives. Up to 43% of men are dissatisfied with their bodies, but men are less likely to get help because they take social cues from society and the media right from an early age that being masculine means shutting off your emotions and “toughing it out” so to speak. So thank you Isaac for being one of a small group of men in the public eye who aren’t afraid to keep it real. 3. He’s a hug fan of feminist Lena Dunham. When Lena Dunham released her book ‘Not That Kind Of Girl’ Isaac Mizrahi tweeted this picture of him and the writer and creator of ‘Girls’ when she was young. To which Lena replied in a tweet “this is a photo of the best day of my life”. Yep, the designer has known Lena and her family for a long time given that Lena’s parents were involved in the New York art scene. In fact even when she was young, as seen in the image above, Isaac predicted back then she would be a huge star. And what does he actually think of her now? “She was incredibly smart, and saying incredibly smart things at such a young age. I think it’s the tip of the iceberg for her because she’s a wellspring, that girl. Just when you think she’s done something so smart that she can’t top herself, she writes a book that’s incredibly smart. [Lena] is the embodiment of style. She is the moment of style,” he said. And when an iconic designer says someone has style, you KNOW they mean it. 4. He’s not afraid of failure. There is a saying “if you haven’t failed, you’re not trying hard enough”. To us failure means you are willing to take a risk, and while this isn’t just a trait limited to feminists, it is the mark of a person who has stepped outside their comfort zone. In the 1990s Isaac was hot property and dressed supermodels like Linda Evangelista, Cindy Crawford and Christy Turlington. Because of his huge early success, he was hotly tipped to be the next big American fashion brand like Calvin Klein or Donna Karan. Despite being bankrolled by Chanel since 1992, after not-so-great sales, the French label pulled out of the deal leaving Isaac no choice but to close his business by 1998. It was shocking news for everyone who had high hopes for him at the time. But as we have seen, he did come back and managed to prove any and all critics wrong. Even in 1998 he remained optimistic, saying he was going to diversify and dabble in film and TV. What he learned about failure was to focus on what he truly loves. Because he wasn’t about living large or spending his cash like it’s going out of fashion, Isaac’s comeback wasn’t necessarily about doing whatever it takes to pay of debtors, it was about reassessing his focus as an artist. Today, with a string of fashion lines under his belt firmly cementing him as one of the foremost iconic brands in American fashion, Isaac is also a popular TV personality on shows like ‘Project Runway’ and numerous red carpet appearances as a fashion reporter, he has appeared in ‘Ugly Betty’, designs costumes for Broadway and various Operas, and he is the creative director of Xcel brands which owns his label. 5. Women are his inspiration in art and fashion. In a TED Talk he gave in 2008, he talked about how inspiration and art fuels his fashion creativity. One aspect which stood out to us is how women are such a huge theme in his life and how he doesn’t use them as objectified muses, rather he has a very respectful attraction to them. It’s not often we see fashion and advertising portraying women this way so it is important to give credit to the men and women who recognize the value of portraying women as equals. “I’m very inspired by movies,” he says in the video below from roughly 3:00. “I sit up at night and watch movies and I watch women in movies a lot. And I think about their roles ad about how you have to watch what your daughters look at,” he said. The fact that he has survived many ups and downs in his career is a testament to what Isaac Mizrahi stands for today. And while these are OUR fave things about Isaac Mizrahi, of course you can enjoy more of his iconic brand and art by checking out IsaacMizrahi.com.